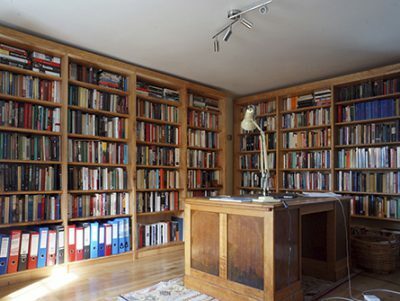 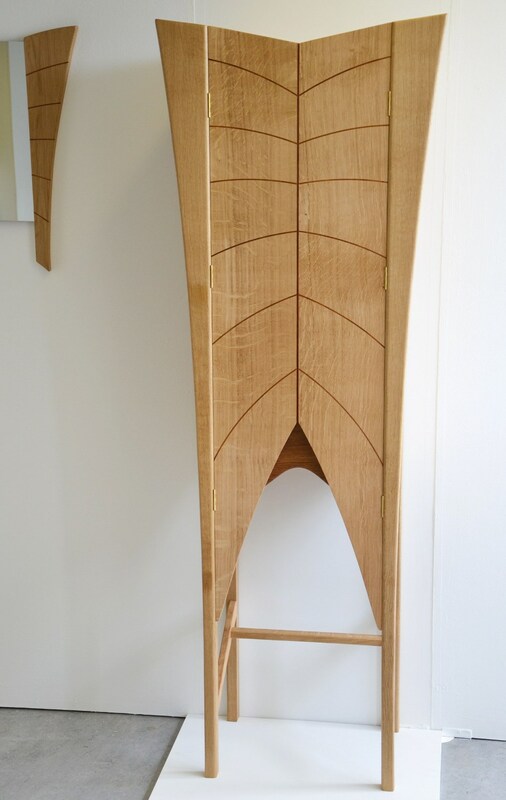 Behind the handless doors there are shelves and a small drawer giving it many possible uses but making it ideal as a drinks cabinet. 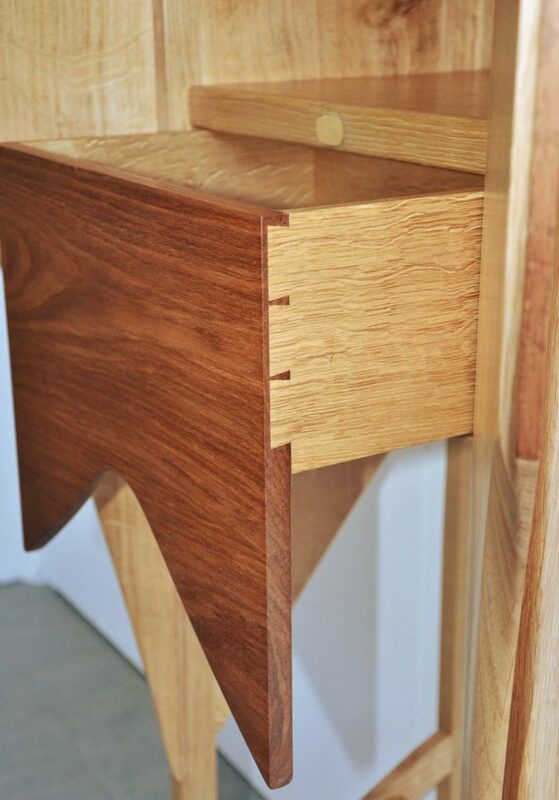 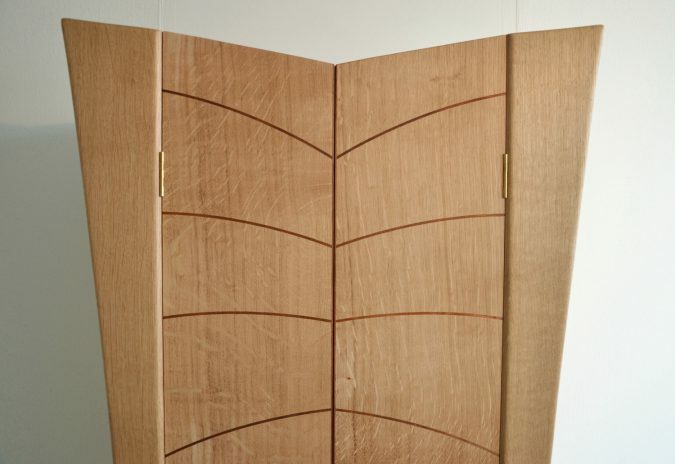 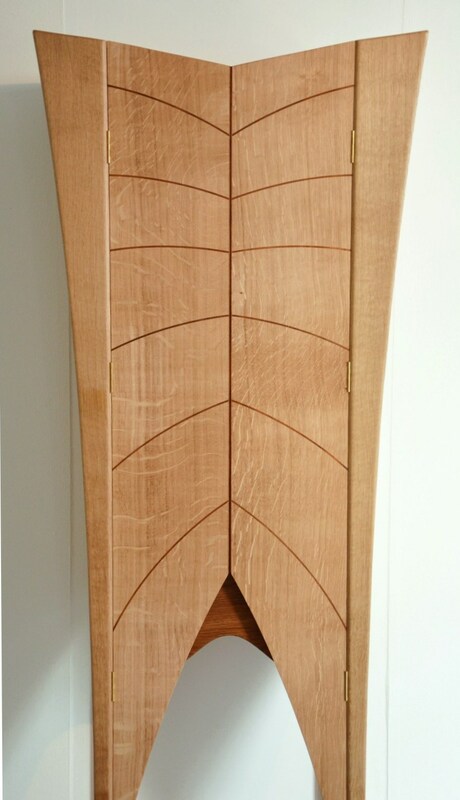 The door inlays and drawer front are made from the Bubinga I had left over after making the ‘Flying Shelves‘. 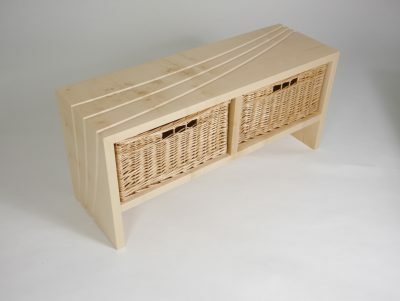 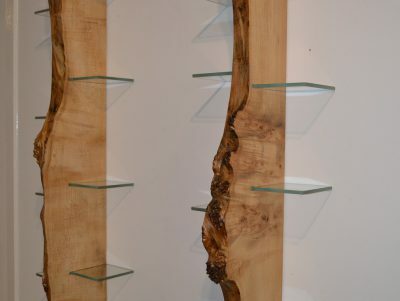 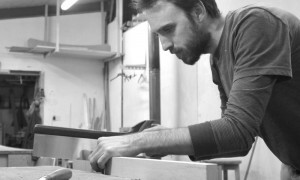 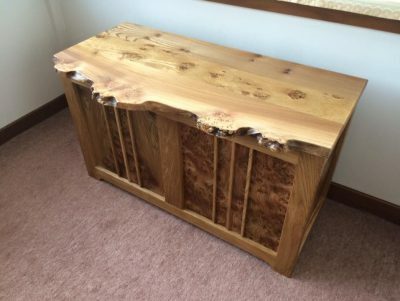 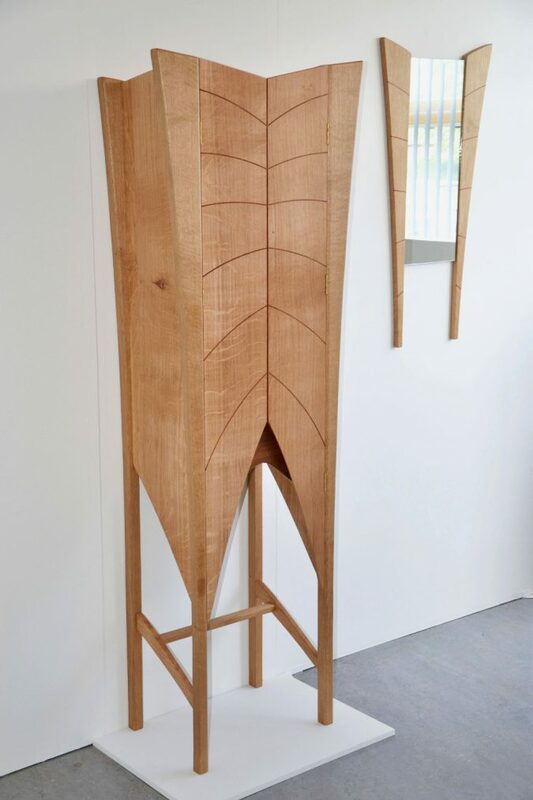 It was a special piece of wood, given to me by my furniture tutor, Craig Murchie and I was keen to make the most of it.